Irvine real estate has garnered a reputation as being a great place to raise a family because of its low crime rate and great education system, and while it certainly lives up to that reputation, Irvine should by no means be thought of as just a safe place to live. Irvine is one of the biggest planned communities in the country and no matter which of Irvine homes for sale you might choose to make your home there are sure to be amenities, entertainment, and outdoor fun nearby. 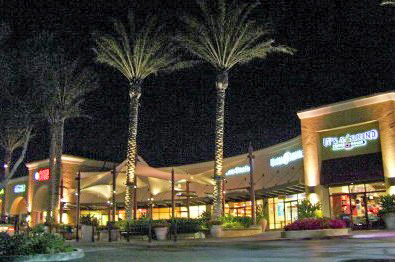 Irvine is home to the Irvine Spectrum, the big draw and crown jewel for shopping and entertainment in Orange County, but more importantly, everything in Irvine is strategically placed so that parks, schools, libraries, restaurants, and shopping centers are integrated into and around housing neighborhoods. At the heart of the city is the University of California at Irvine, giving the community a college atmosphere and a home-base for the arts and high culture. Located on the UC-Irvine campus itself is the Barclay Theatre, which is renowned for its amazing dance, theatre, and musical shows, as well as its educational forums. Across the street from the campus is the Edwards University Town Center movie theater, one of the only theaters in Orange County to show small release and independent films. Also on the outskirts of the campus is the UC Irvine arboretum, an endangered plant preservation and great place for taking a nature walk. Other cultural points of interest include the Irvine Fine Arts Center and Old Town Irvine. The Fine Arts Center, located in Heritage Park, features a rotating art gallery and also offers activities and classes to learn about and create art. 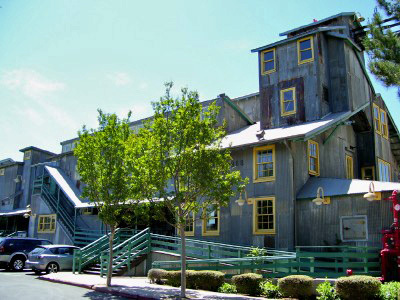 Old Town Irvine is the historical site of Irvine Ranch’s agricultural hub, founded in 1887. Inside these historically preserved buildings that used to be a bean and grain storage warehouse (1895), hotel (1913), general store (1911), and blacksmith’s shop (1916), you can now find numerous Orange County businesses and restaurants, including Gator’s Upsouth — specializing in Cajun style food—and Tia Juana’s—a great place for Mexican food, live music and dancing. To catch big time musical acts, there’s the Verizon Wireless Amphitheater (formerly Irvine Meadows). The amphitheater is the only major music venue between Los Angeles and San Diego and it plays host many of biggest names and tours in the music industry and offers a great outdoor musical setting. For summer fun, Irvine is home to Wild Rivers, Orange County’s premier recreational water park. Here you can have a blast on the slew of water slides, surf in one of the lagoons, or just chill out poolside. Alternatively, Irvine Lake is only a short drive east of the city. The lake is a great place to fish, camp, or just picnic for the day. Whatever you’re looking for, Irvine has got it. Check our Irvine real estate listings and put yourself in one of the fine Irvine homes for sale today.